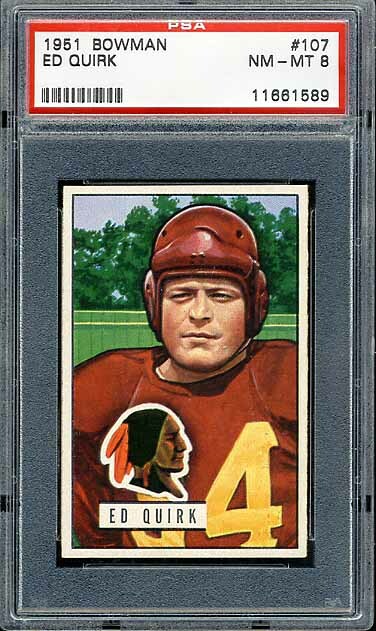 Another beautiful Bowman set. 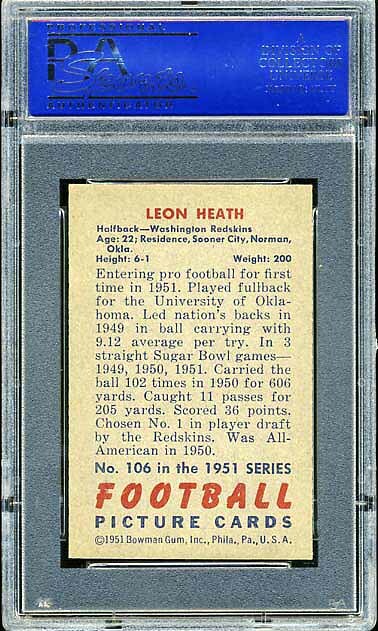 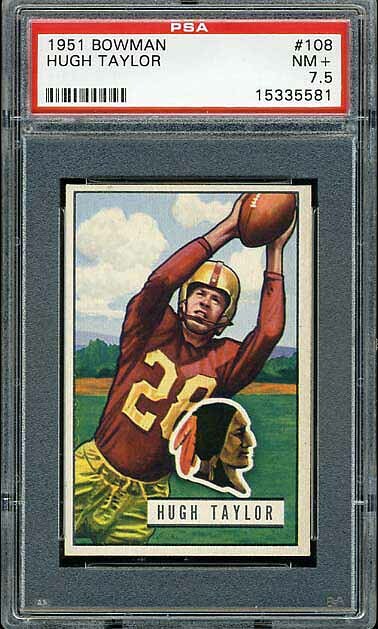 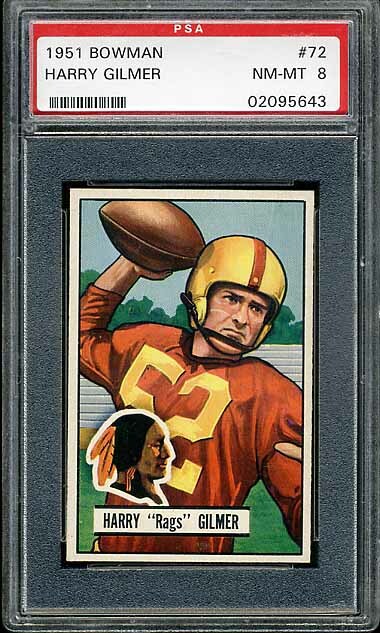 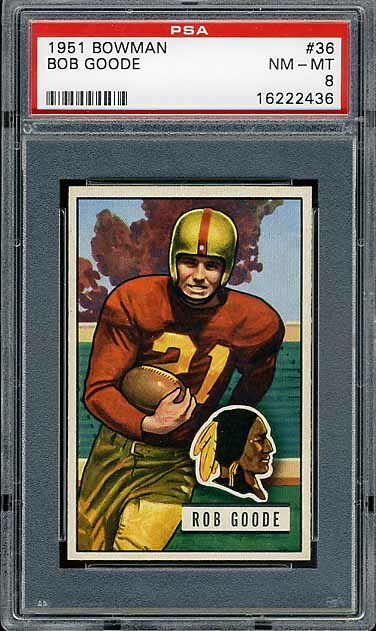 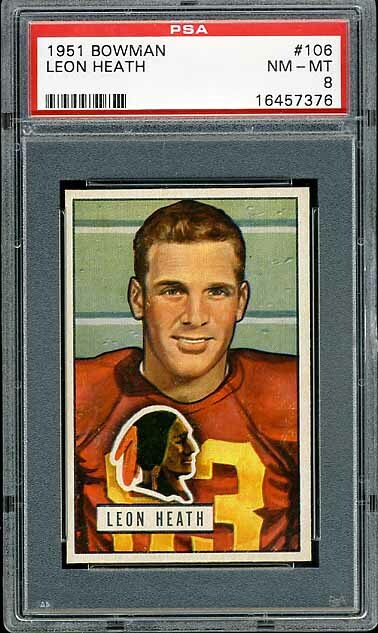 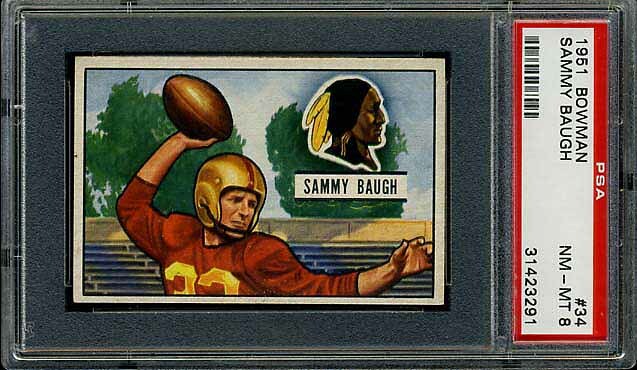 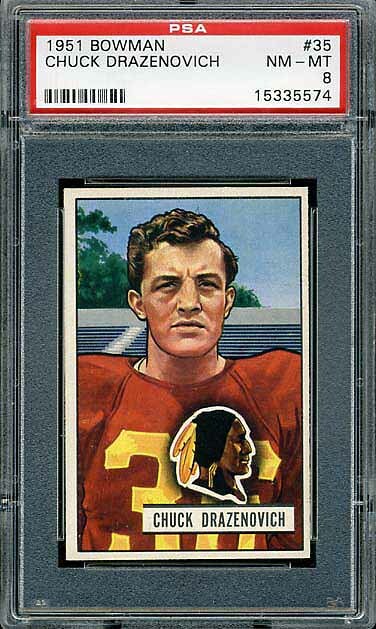 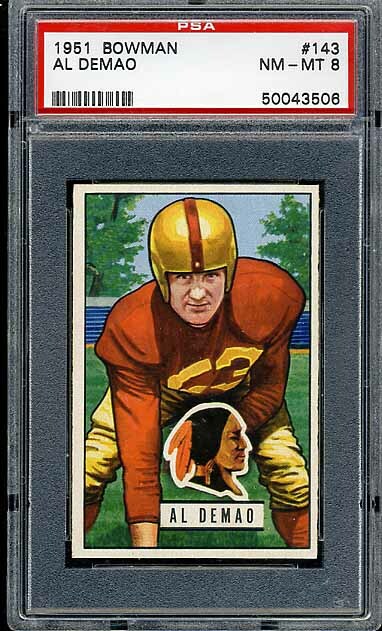 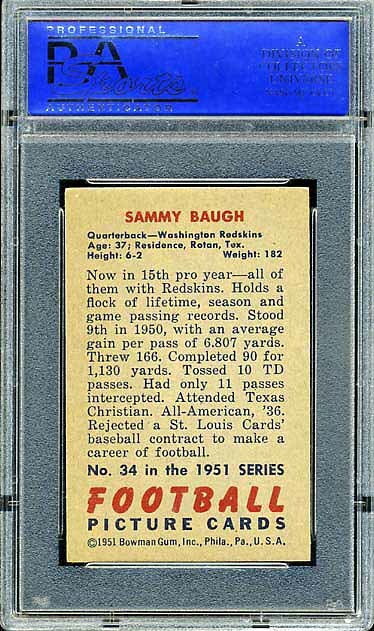 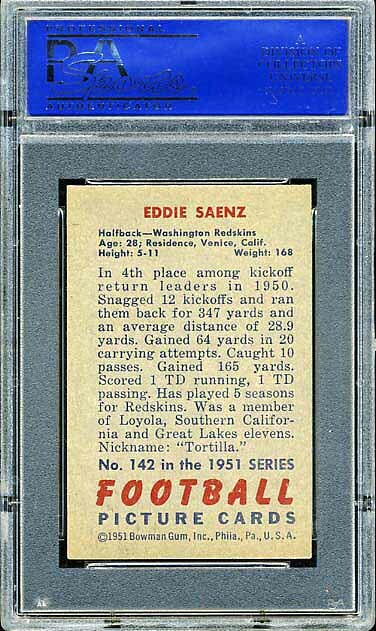 As usual, Sammy Baugh is the key card in the set. 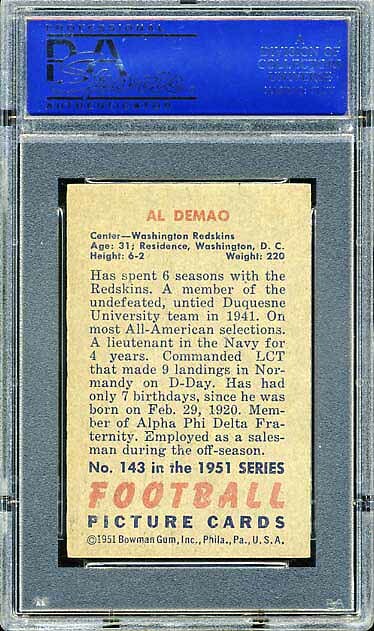 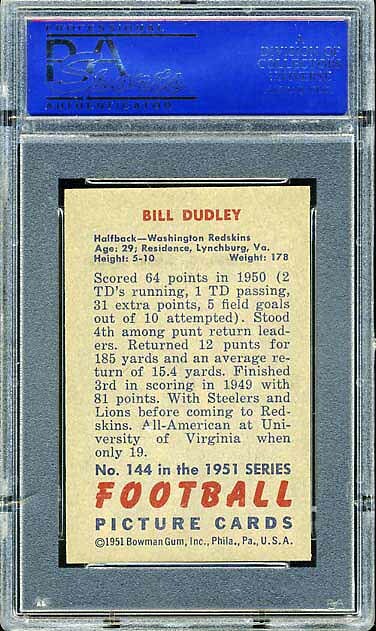 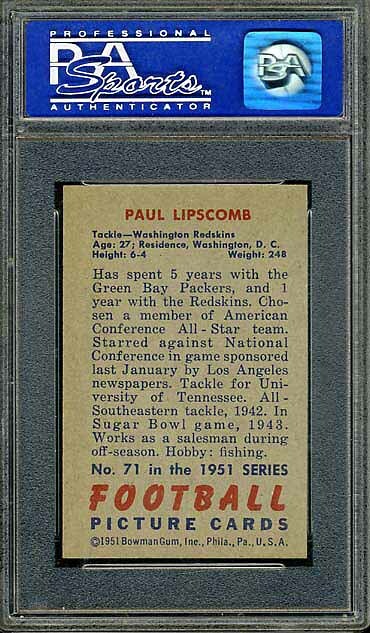 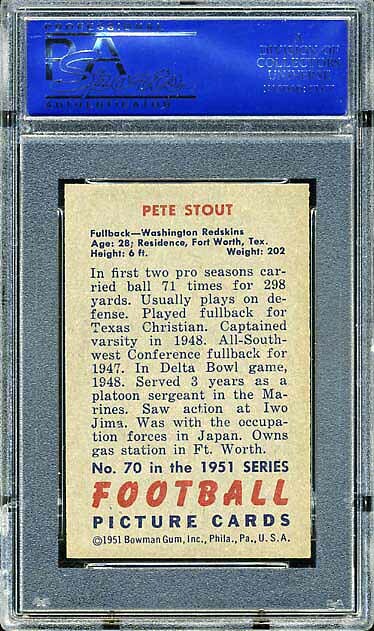 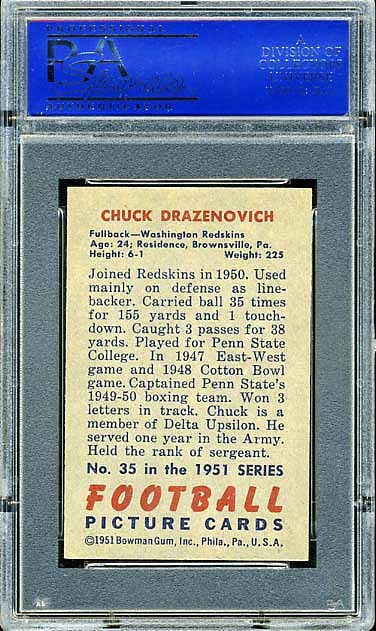 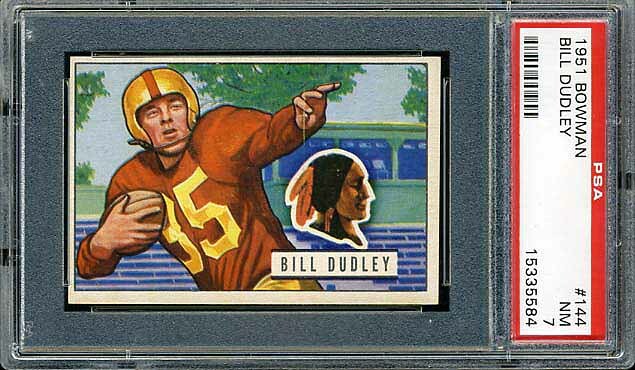 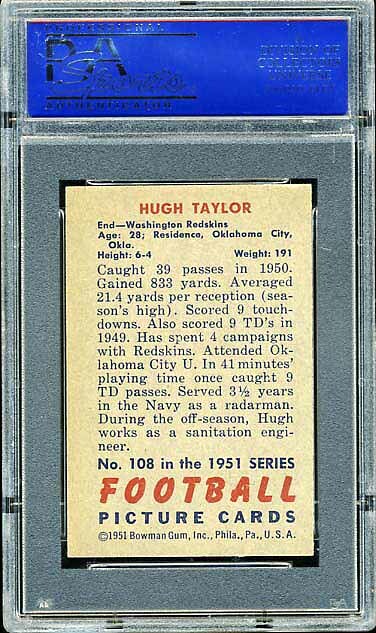 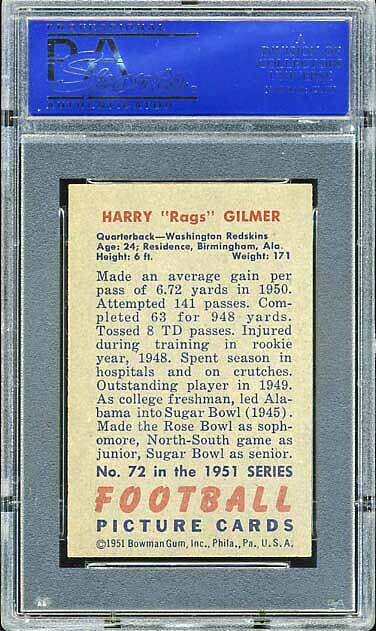 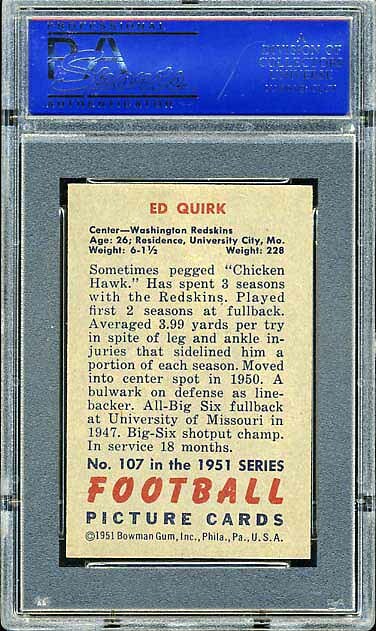 The Bill Dudley card is also extremely tough to find because it is the last card in the 1951 Bowman set. 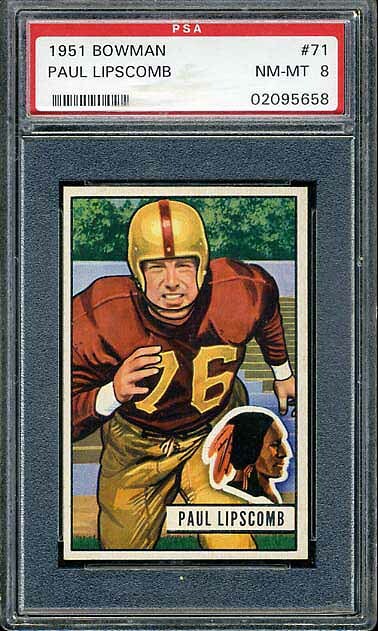 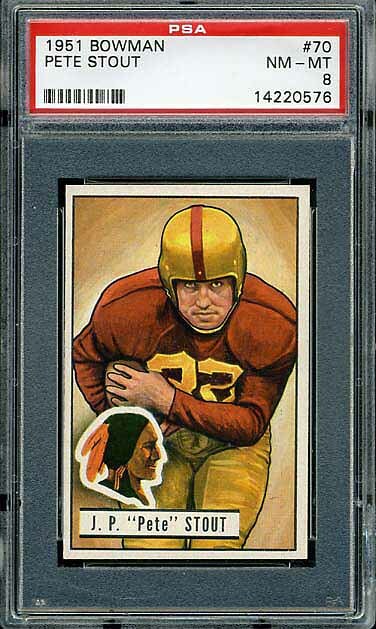 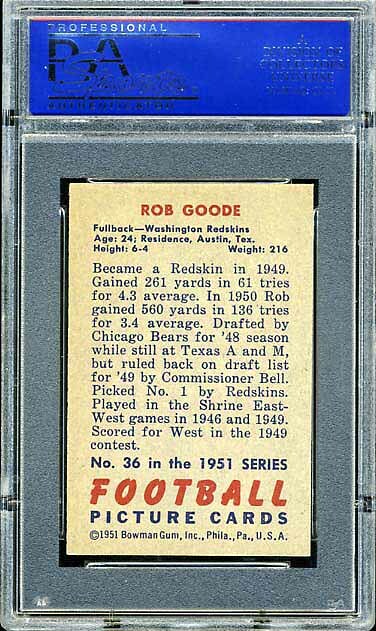 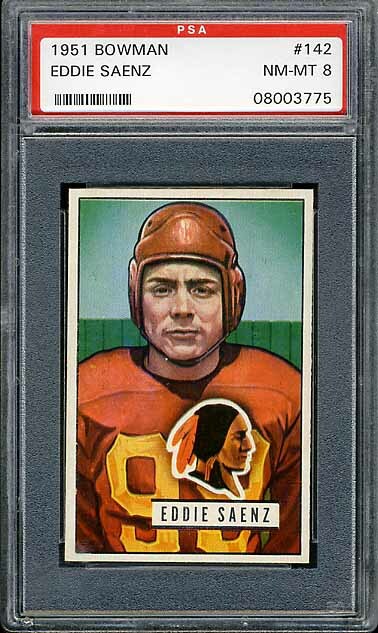 Please enjoy the amazing artwork of the complete Redskins team set that is shown below.